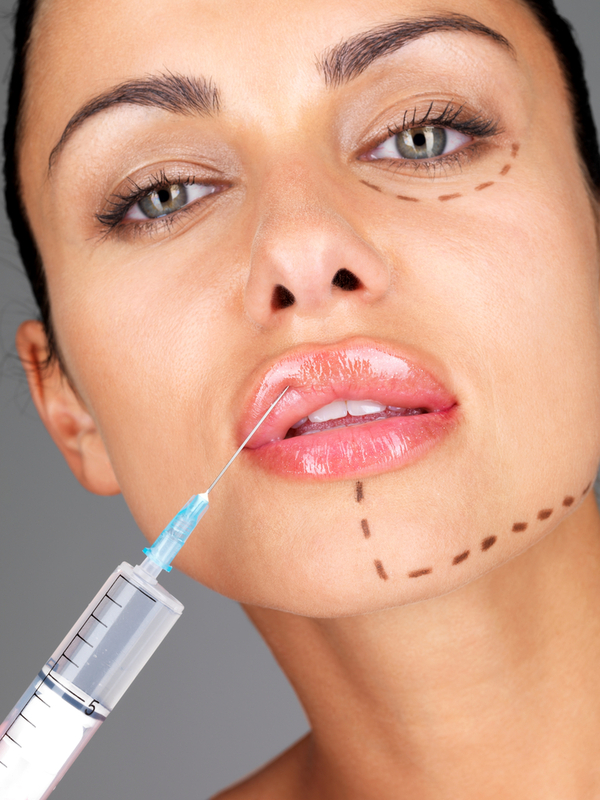 As an employee in the field of plastic surgery, I meet some VERY interesting people. Our office always have hilarious stories that would be PERFECT for a reality t.v. show, unfortunately… HIPPA (Health Information Portability Protection Act) would make it a little difficult. One unfortunate, and fortunately small population of beauty-goers is the woman suffering from Body Dysmorphic Disorder. This syndrome causes a person to be excessively concerned with body image. The affected individual has such a strong negative self-image it affects their ability to function in daily activities. As most of us are aware, when we look good we feel better about ourselves. People with BDD are so critical of their looks, it affects their ability to function as a normal person. It can cause anxiety, depression and other mental health issues. In my experiences, the clients I see that suffer from this disorder are GORGEOUS. So why do they not see what I see? Mental health disorders are caused by biological, psychological, and environmental factors. (I have a minor in Psychology, any of you UMASS Amherst alum will know the great Professor Halgen who taught Abnormal Pscyhology–one of the best classes I’ve ever taken). I have observed very low self esteem with these patients. I have found through talking to these clients they are usually in abusive relationships, and are looking for something they can physically change about themselves to make their abuser “love them.” Usually people in abusive relationships have a history of emotional neglect and physical and/or mental abuse. The syndrome typically manifests itself during adolescence (don’t worry, I’m not Botox’ing anyone under 18!) – a time where we all start becoming critical of appearance. A time where most women start wearing make-up ;). 80% of people who suffer from this disorder have had suicidal thoughts. For those of you in the beauty industry, you might run into these people from time to time (but probably not as much as I do in my office…). The only thing you can do with clients like this is to be supportive. Many of us establish strong bonds with our clientele (who doesn’t LOVE their hairdresser or aesthetician!) and they value our opinions. If you feel you have a client who might suffer from BDD you should tell them. This behavior to be constantly critical of yourself is not normal, and professional help is the only thing that can help. Yes, but I handle with care. A client with BDD will go to whomever will treat them, and (I don’t know if you know this) but there are a lot of people out there that are driven by money and not morals. I make it very clear that they have nothing physically wrong with them, and any treatments I agree to with them are solely for preventative purposes. Beauty treatments are therapeutic to a lot of women, and although I am not a psychologist, I think when I sit behind these people in the mirror and tell them there is nothing wrong with the way they look they are agreeable to doing less drastic changes. I like to bring up this AMAZING underground cult classic movie that inspired me during a bout of depression (not BDD). The movie is called “What the Bleep Do We Know: Down the Rabbit Hole” and it is a docu-drama about Quantum Physics (and I bet my last blog post gave you the impression I was less than mature!). Please, please, please take a minute to watch some of the clip below. I hope you will find it as inspiring as I have! After showing my friends the clip I decided it needed a preface. The movie is about a girl who is deaf and is having a difficult time with life and has a poor self-image (that’s the drama part). There are clips of Physicists discussing the Theory of Quantum Physics (the documentary part). Quantum mechanics is the body of scientific principles that explains the behavior of matter and its interactions with energy on the scale of atoms and atomic particles. Basically, your internal thoughts and feelings affect external outcome of a situation. **If you’d like to know more about String Theory, ask my brother. He’s the smart one in the family. Women look in the mirror on average 32 times a day. We always direct our attention to subtle flaws we have. But most of us can name a feature that we consider “attractive.” Everyone has their own unique beauty, and it is healthy to maintain or enhance your natural image. But beauty starts on the inside, and sometimes we need professional help finding it.